Exploring the South of France on a road trip was another of my bucket list experiences that I'm so happy to have finally ticked off. On my trip, I fell madly in love with Provence - the food, the scenery, the lifestyle, everything! And let me tell you, Provence has a lot more to offer besides lavender fields and small-town charm. The road trip was planned by my French boyfriend. He picked all the towns we visited, including a mix of places I couldn't miss and some of his favorite places he vacationed with his family as a kid. So you know, this South of France itinerary packs some hidden gems. 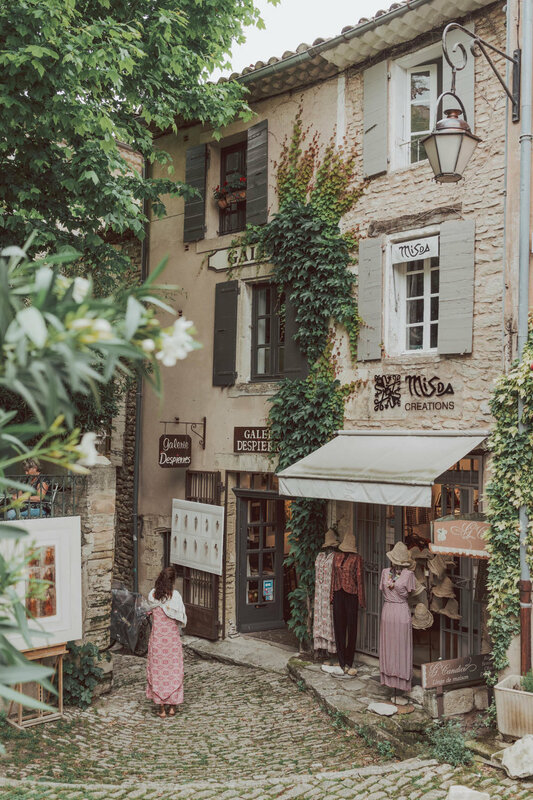 Our South of France Itinerary begins in Paris - it is the most convenient way to arrive in France plus easy to reach Provence - and ends in Nice, that way you don’t waste hours driving back. The best way to get to Provence from Paris is by train. From the French capital, there are about 13 trains that make their way to Provence daily. But make sure to book your ticket in advance - preferably 1-3 months in advance. The tickets sell out fast and the longer you wait, the more expensive it gets. If you are on a tight budget or have 10-12 hours to spare, you can travel by bus to Provence. Both Flixbus and Isilines offer direct routes between Paris and Aix-en-Provence. Price of the bus ticket will likely cost you only half of the train ticket. You can fly to Aix-en-Provence from Paris, but this will be the most expensive option. A direct flight will take about an hour and fifteen minutes, but between checking in and getting out of the airport, it may take you three hours to finally get to your destination. Out of the three options, the most cost-time-effective way to get from Paris to Aix-en-Provence is by train. Additionally, the car rental office is conveniently right outside the train station. 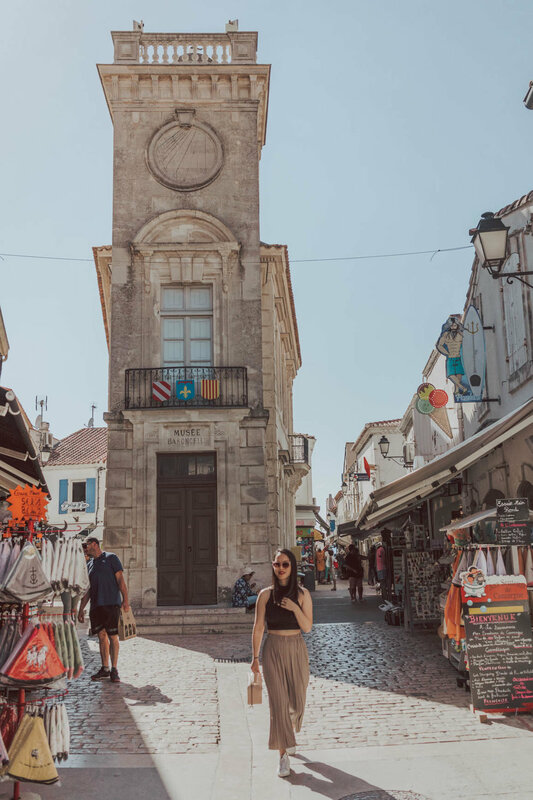 We picked up our rental car from Sixt and began our drive to Salon de Provence, our first home base on our South of France road trip. Car rental tip: You can rent your car in Aix-en-Provence and return it in Nice. Sixt lets you return it at the Nice airport. On the first day of our South of France itinerary, we visited one of the country's most beautiful natural wonders, the famous Calanques de Marseille – they are inlets formed in limestone cliffs but are also known as coastal fjords. Located between the city of Marseilles and the town of Cassis, the Calanques National Park is a popular attraction with tourist and locals alike. There are about two-dozen calanques in the Calanques National Park, but we decided to explore Calanque de Sormiou, the biggest one in the area. We left the car behind in the parking lot and made our way to the top of Col de Sormiou. The hike was steep, but the view at the top was worth it! We then made our way down to the beach for a well-deserved dip in the water. Although we opted for the scenic hike, Calanque de Sormiou is also accessible by car and boat. If you are opting to hike as we did, you can leave the car at Parking de la Cayolle, located on Chermin de Sormiou - it's the same road that leads you to Calanque de Sormiou. Space is limited so make sure to arrive early and don't leave any valuables in the car. Driving to the beach is possible, but the road is narrow, and parking is reserved only for restaurant’s patrons with reservations. Unless you are planning to dine at the restaurant, skip the drive to the beach and opt for the boat tour or kayaking. Another way to access the Calanques is by boat. You can book a boat tour from Marseille, Cassis, or La Ciotat. A different alternative to access the Calanques is by kayaking. You can rent it in Marseille or Cassis by the hour, half-day or day - just make sure they have an AOT (autorisation d'occupation temporair) license. Kayaking is a great way to explore the Calanques as it allows you to access different beaches, even the ones not possible by hiking. Because of the high risk of fire in the summer, access by car and foot is restricted between June 1st and September 30th. Your best option to access the Calanques in the summer is by water. Make sure to bring water, snacks, a swimsuit, sunscreen, and a towel. The unique cliff formations and the crystal-clear water make the Calanque National Park a location not to be missed on anyone's South of France vacation. What a great way to start our South of France road-trip! 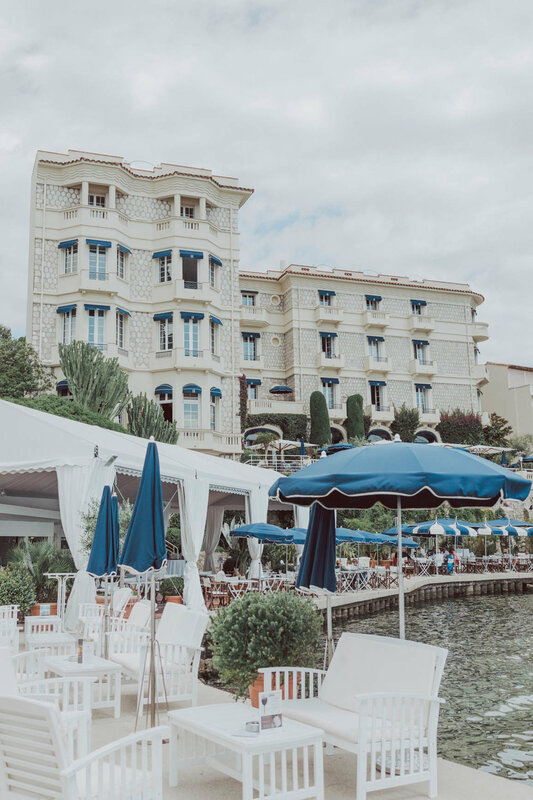 Following our time at the Calanque and working out an appetite, we headed to the nearby town of Les Goudes for a delicious lunch at L'esplaï du Grand Bar des Goudes. The restaurant is one of the few in town, but famous for its excellent service, fresh seafood, and delicious regional dishes like the quintessential bouillabaisse. 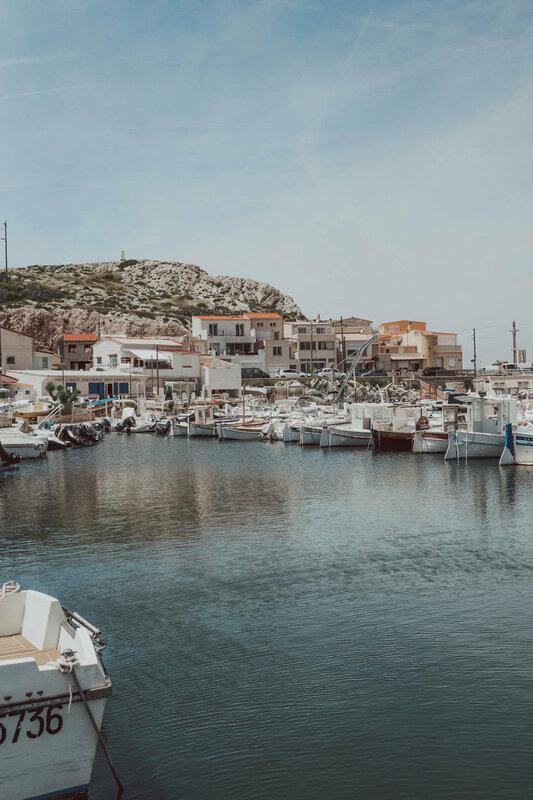 After devouring the food and left no space to even breath air in, we set out to explore Les Goude - a small fisherman town in Marseilles where time has stopped, and its little beaches and not-so-secret cove will charm you away. 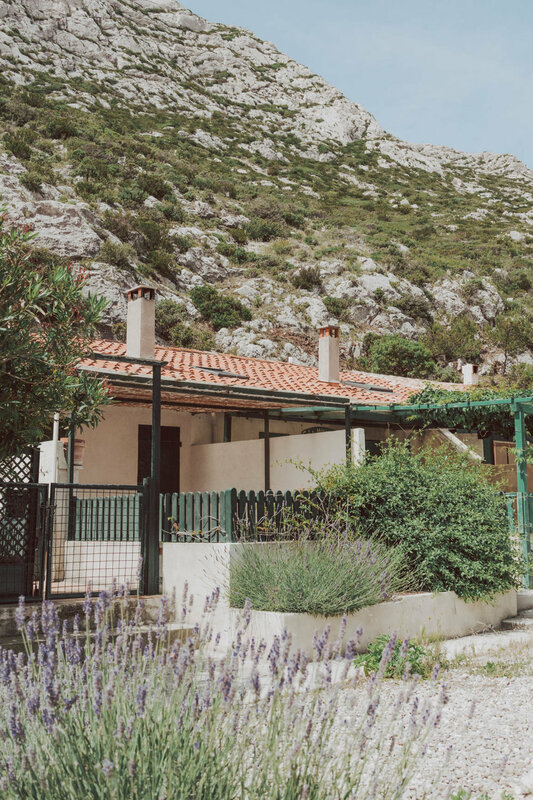 Although small, Les Goude is a great place to spend a few hours strolling leisurely its streets, soaking the sun, or hiking the Cap de Croisette – a hilly peninsula at the edge of the Calanques. The view at the top of Cap de Croisette is awe-inducing and certainly worth the short hike. At the end of the trail, you will find the not-so-secret cove, Baie des Singes - also known as End Of The World Beach because of its location. New day, new town to visit in the South of France! Les Saintes Marie De La Mer is a charming seaside resort village located in the south where the Rhône River meets the Mediterranean Sea. Les Saintes – for short - has a very unique look and feel from the rest of the towns in Provence. You will see the strong Spanish influence, and you may even question if you are not in Spain. It’s certainly worthy of a visit if you appreciate slow travels. We arrived early in the afternoon in time for lunch, followed by a stroll in the town, and horseback riding. Fontaine-de-Vaucluse is a picturesque medieval village built around spring and surrounded by high cliffs, not to mention a UNESCO World Heritage site. Famous for its emerald-green water and Sorgue River, the sun-filled Provençal town is perfect for a morning trip. One of the main attractions in town is The Source of the Sorgue River. What seems like a pool of still water, The Source - also known as the fountain - is continuously fed by a network of underground water, from which flows Sorgue – one of the most important rivers in Provence. To get to the fountain, follow the footpath and you will find it at the end of the trail. As you make your way there, make sure to admire the old ruins and small historical monuments as well as the whimsical waterwheels. Right outside town, you will find a parking lot for about 3 Euros. From the parking lot is a short walk to the village. 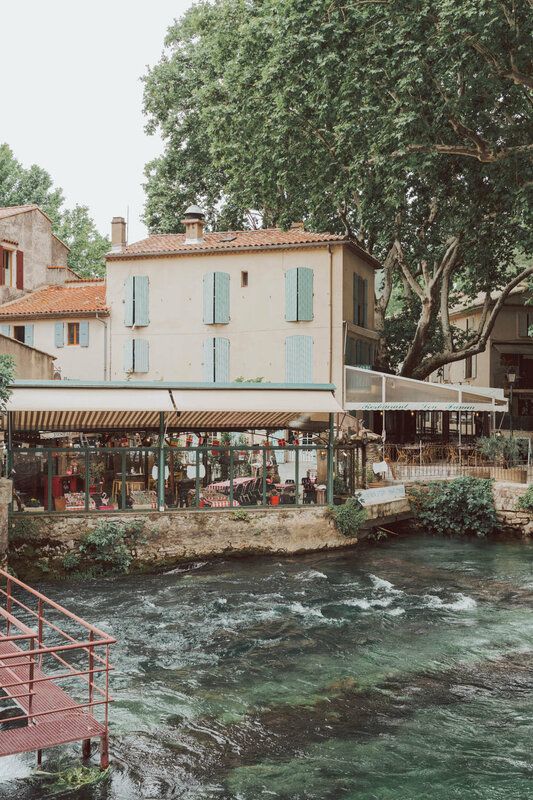 The best time to visit Fontaine de Vaucluse is in the spring. You will find fewer people, and because of the rain season, the river will be flowing strong. Summer is the town’s business season, so you are guaranteed lots of people and all trying to converge at the fountain – which is already a small area. Arrive early to avoid the crowd. 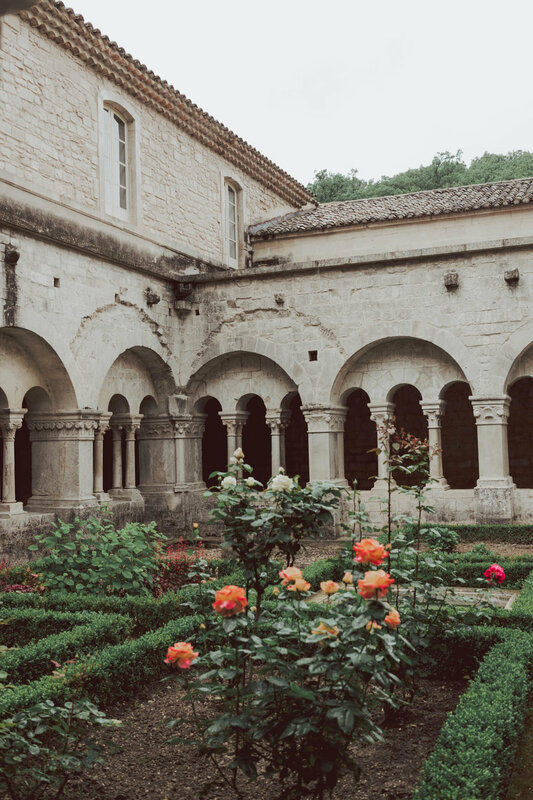 Next stop on our South of France Itinerary, Abbaye Notre-Dame de Sénanque! The Abbaye Notre-Dame de Sénanque is located near the town of Gordes amid big lavender fields. The abbey, Founded in the 12th century, is still an active monastery. If you visit in June, you will find the lavender fields in bloom. Unfortunately, when we visited the monks has just harvested the lavender. 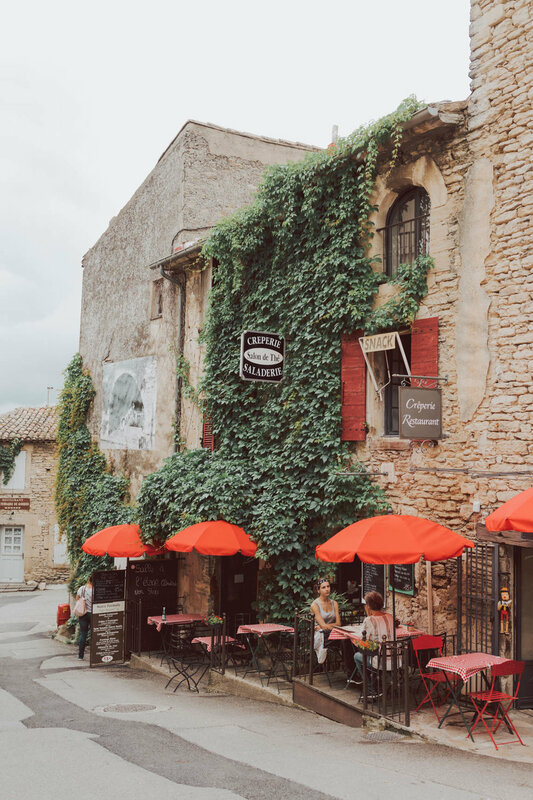 Gordes is one of France's most famous and beautiful medieval villages perched on a hilltop overlooking Luberon - made famous by Peter Mayle 's book A Year in Provence. As you stroll its cobblestone street, you will be rewarded with breathtaking views at every turn. Running the risk of sounding very repetitive, Les Baux de Provence is one of the most beautiful medieval towns in Provence - and probably the most deserving of the title France’s most beautiful. But honestly, they are all oh-so-beautiful! 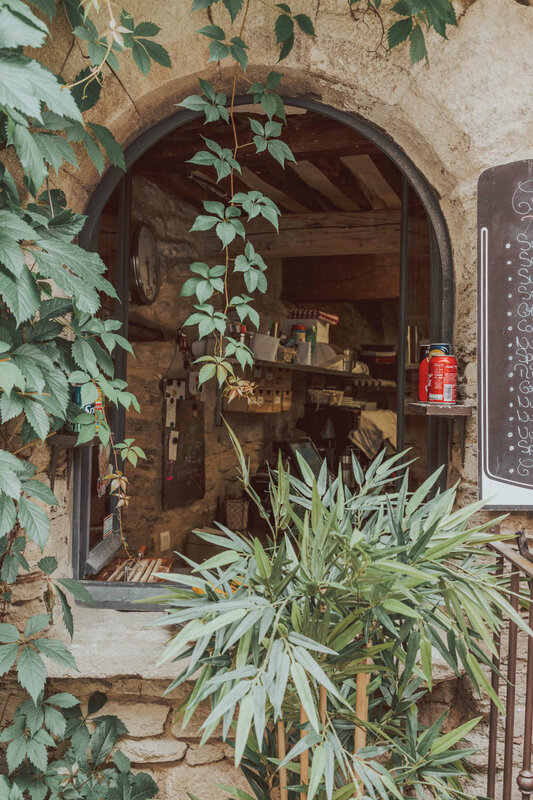 Les Baux-de-Provence, located atop a limestone hill in the Alpilles, is the perfect place to spend a day strolling its small alleys, admiring the awe-inducing views, and eating your way around. Although I didn't have enough time, you may also want to check out Chateau-Fortress des Baux - a fortified castle built during the 10th century. Get an artisanal sorbet at the unknown shop - I couldn't find the name of the shop but see photo for reference. Make sure to order the Viola and Melon flavors, they are the best! Visit the Carrières de Lumières - an amazing multi-media show that projects famous art to the tune of different music. There's a parking lot at the edge of the village. But arrive late, and you may end up parking on the street way down the hill. Also, don't forget to pay and leave the parking ticket visible in the car as there's a security guard that checks. Visiting the village is free, but you may encounter entry fees for the Chateau-Fortress des Baux and Carrières de Lumières. Tip: As you drive around, you may find stalls or small farmer's market. Make sure to stop by as it's a great way to stock up your kitchen with local produce. On one of our spontaneous stops, we found locally produced raw lavender-honey, delicious! Hyeres, our home base for the next few days. We drove from Salon de Provence to Hyeres early in the morning. We checked in and made ourselves right at home. We spent the rest of the day exploring the beach town, simmering under the Provencal sun, and hiking the Giens Peninsula. As you stroll the town, you will find locals playing the famous game of pétanque. Don't be shy and join in! Although Hyeres is a charming beach town, the main attraction is Porquerolles. Ile de Porquerolles is one of those places you can't skip on your Provence itinerary. The charming island is unspoiled paradise with turquoise water and rugged hills. 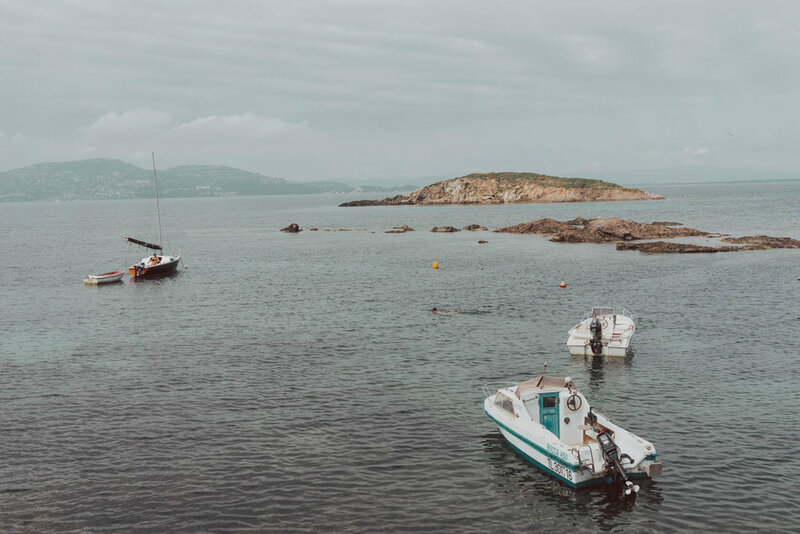 Located right off the coast, Porquerolles is one of the three islands in the Îles d'Hyères and in my humble opinion, one of the best places to visit in the French Rivera - if you check out my Ile de Porquerolles post, you will see why. We spent the day driving to our last home-base, Cap d'Ail. Nested between Nice and Monaco, the town offers beautiful coastline, dreamy beaches, and posh scene without Nice or Monaco crowd. The small seaside town is the perfect place to relax, enjoy the beach, and good food - certainly a place I could easily call home. And if you are looking for some glitz and glamour, Nice and Monaco is just a short ride away. After settling down, we headed to the beach, Plage Mala - kindle? Checked, picnic basket? Checked! Take a walk on the Sentier du Littoral de Cap d'Ail - the pathway takes you along the coast of Cap d'Ail to Monaco. Located by Cap D'Ail train station, follow the sign to Mala beach and restaurant La Pinède to get to the pathway. Soak up the sun at one of their two beautiful beaches: Plage Mala and Plage Marquet. New day, new place to explore on our South of France road trip! Antibes is my boyfriend's favorite town in the Cote d'Azur. The old glamour, the beautiful beaches, and the maze-like Old Town will make you fall in love with it. Scott Fitzgerald - yes, the writer - and I sure did! We met up with some of my Boyfriend's friends and had lunch at the beautiful hotel Belles Rives. Afterward, we went to explore the old town. Have lunch at Hôtel Belles Rive - where Fitzgerald took inspiration for his book. Visit Musée Picasso, Pablo Picasso personal studio - Did you know Picasso lived in Antibes? 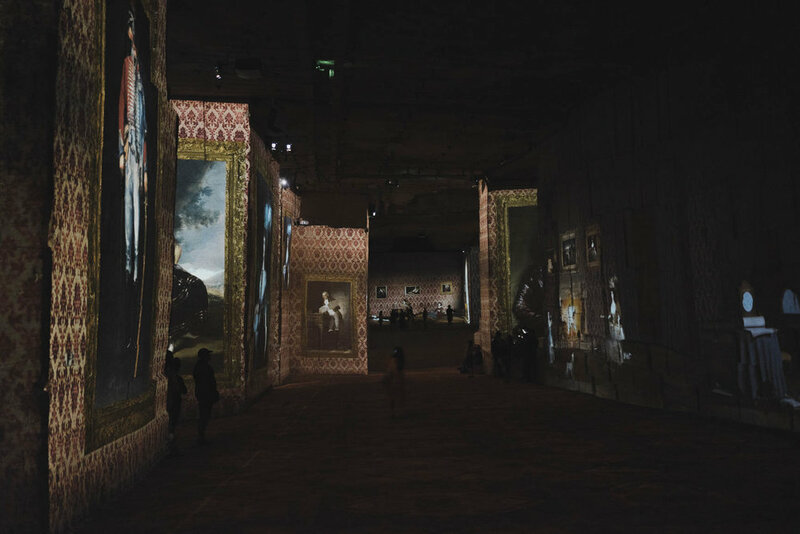 The artist turned the Château Grimaldi into his private studio. Now, it serves as a museum dedicated Picasso, housing 245 of his paintings and sculptures. On the last full day of our Provence Road Trip, we visited Eze Village and the breath-taking Villa Ephrussi de Rothschild. Since my boyfriend was the one who planned the entire road-trip, the Ephrussi village was my only request - and it was such a treat! Eze Village is one of the most beautiful medieval tows in France - Yes, we only visited the most beautiful ones! 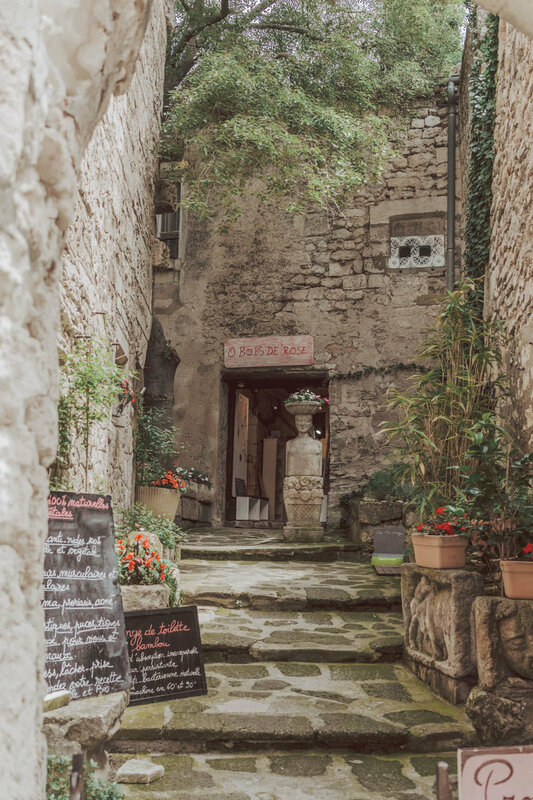 As you stroll its cobblestone alleys, you will encounter ivy blanketing stone buildings, and the aroma of the jasmine flowers - A stroll for all your senses! There's a garden at the top that you must visit as the views are awe-inducing. Set in a magnificent garden overlooking the sea, The Villa Ephrussi is probably one of the most beautiful villas in the South of France. Built during the Belle Epoque by Béatrice Ephrussi de Rothschild, it now serves as a space for visitors to admire its beauty, art, and garden. You can even rent the villa for events, so if you are looking for a romantic wedding in the French Rivera amid beautiful gardens, this may be it. Parking: There's a small parking lot in the Villa. If you arrive early, you will find a spot. Tip: The ticket you purchase at the Eze Village garden also gives you access to the Villa Ephrussi de Rothschild. After a day exploring a medieval village and beautiful gardens, we decided last minute to go to Monaco for dinner since our apartment was only a very-short-drive away from Monte Carlo - about 5 minutes or so. We dined at Alain Ducasse Le Louis XV - a three Michelin starred restaurant located in the L'Hotel De Paris. After dinner, we went on a stroll around the city. The perfect way to end our South of France road-trip. On our last and final day, we drove to Nice to return the car and fly back to Paris. My boyfriend decided to skip Nice on this trip as the city isn't his favorite and we had already visited similar towns that are more authentic but with less crowd. 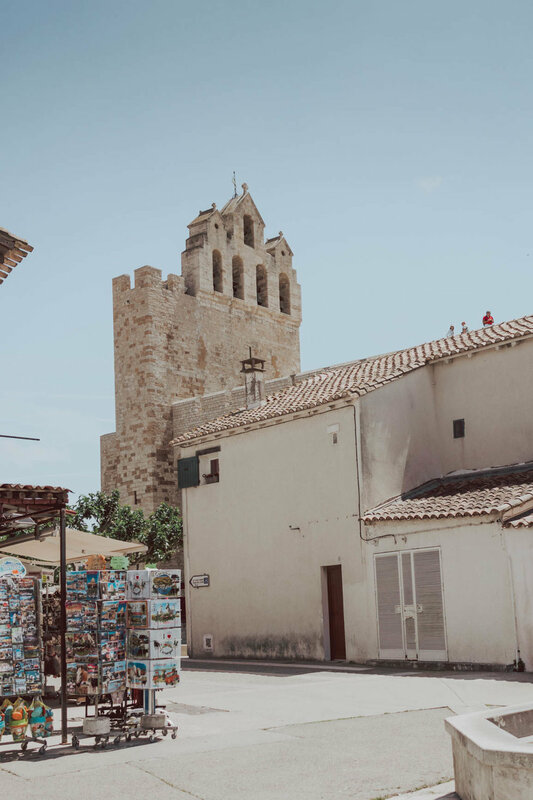 The best way to enjoy a road-trip in the South of France is to pick a place or two – depending on how far you want to travel - and make it your home base and go on day trips. This way, you will save time and avoid the hassle of checking in and out of hotels every day. With so many charming towns in the South of France, you may wonder where to stay in Provence? On our South of France vacation, we had three home bases as we made our way to Nice: Salon de Provence, Hyeres, and Cap D’Ai. 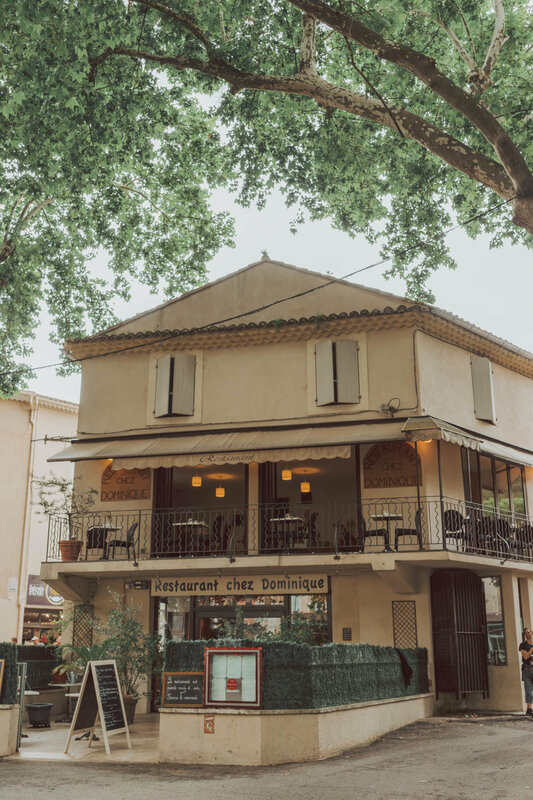 Salon de Provence makes a great home base as it serves as the middle ground between Avignon and Marseille, not to mention, the many places in the surrounding area on our south of France itinerary. 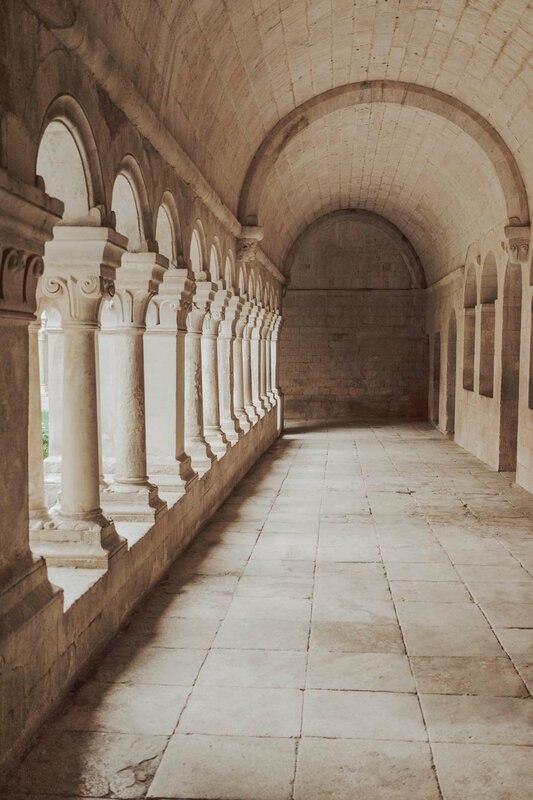 We stayed at the beautiful hotel Garrigae Abbaye de Sainte Croix – a 12th-century abbey with a breathtaking panoramic view of Salon de Provence. 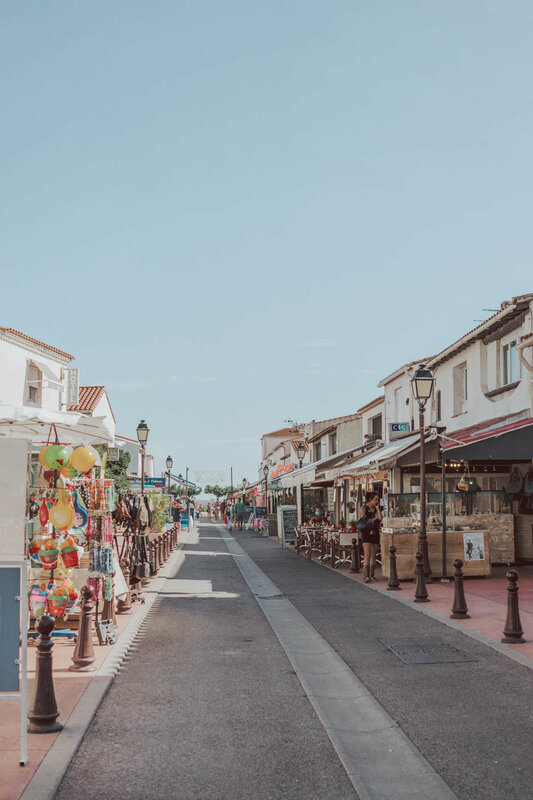 Hyeres is not only a charming beach town located between Marseille and Nice but also a great place to stay if you are planning to visit Ile de Porquerolles – which is a must on anyone’s south of France itinerary. For our stay in Hyeres, we rented an apartment near the beach and took advantage of the kitchen – nothing like cooking a meal with fresh Provençale ingredients! Cap D’ail is a colorful coastal town – and my favorite home base - located at the border with Monaco. 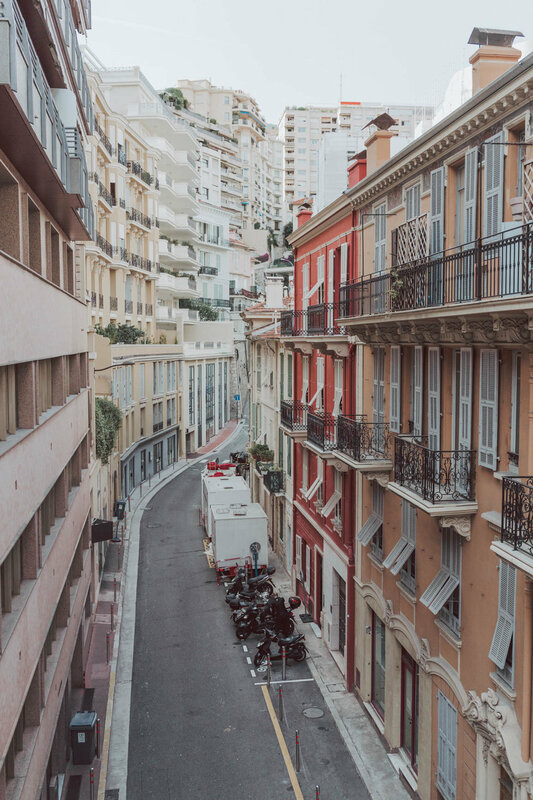 It’s a great spot to escape the crowd, the glitz, and high prices of Nice and Monaco. In Cap D’ail, we also rented an apartment and spent our days roaming the town like locals. The best time to visit Provence is in March, May, or Fall. When it's low season, and the weather is pleasant. During the summertime, you will find the lavender fields in bloom, but flocks of tourist as well. Visit in the winter and you will find a quiet and cozy Provence - also the lowest hotel prices. Planning your South of France vacation? Pin it!